If you carefully draft every email to your client and triple check for grammatical errors then it’s likely that you’ll catch any unnecessary language. However, when you speak over the phone of in person, there will always be words that slip out, whether because of your accent or because you’re used to saying them. 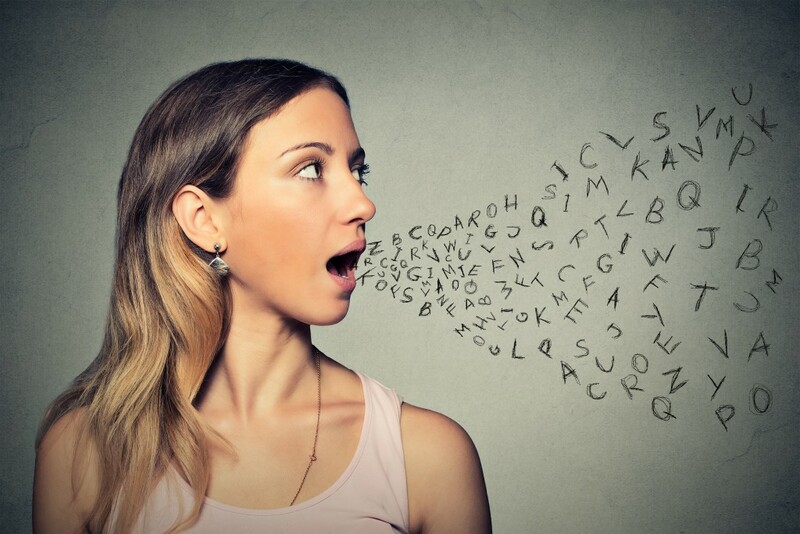 You may not think it’s damaging to speak informally to your clients (they are human after all!) but the reality is that any bad impression you give off will be linked to your work – consciously or not. So which words are putting your clients off? Making excuses already? Don’t give off the wrong impression to your clients by making it seem natural to use excuses. Instead of creating a problem, think of ways you can solve it. For example, whenever you feel like saying ‘but’, replace it with ‘and’. This way, instead of creating an issue you are resolving it. Although you might have to think a bit more to get your head around changing what you’re used to saying, it will be worth it from your client’s point of view. When you’re on your way to becoming a successful entrepreneur, you shouldn’t ‘have to’ do anything. You’ve started your own company, you’re building it from the ground up and you are no longer restricted by nine to five hours! Instead of ‘have to’ change your vocabulary around to things you ‘want to’ do. This small change won’t just have an effect on your vocabulary – it has the potential to change your lifestyle. If you begin to think about everything you ‘have to’ do, you might be able to come up with a solution and a way to make time for the things you ‘want to’ do. You may like to think of your competitors as enemies, but the reality is this is not (and should not be) the case. Competitors are often demonised (not least because of the shocking amount of Disney films that tell us this is ok) because we believe they can only ever be our rivals. The truth is that someone who we today believe to be our enemy may in the future turn out to be a business partner. Competitors will be people in the same field and more often than not will have a similar way of thinking as ourselves. Don’t cut off ties already by branding them as your ‘enemy’. To your new client, the word ‘luck’ is definitely not favourable – in any context. A client wants to hear that you are sure of your capabilities and know you can deliver the work to a high standard and on time. So when you start throwing phrases like ‘with a bit of luck’ around, everything can become uncertain quickly. Statements of certainty will give your client peace of mind and give you an air of confidence. Honestly can be a tricky one to use correctly. Many people use it as a way to reassure another person; for example, “There is honestly no reason this could be late”. Instead of seeming comforting, this comes across as though the person is close to pleading. Using ‘honestly’ can also suggest that the rest of what you say is not actually truthful – not the impression you want to give to a new client. Anytime you use ‘very’, everything gets a lot less specific. “I have a lot of very good ideas for your project” – are they very good, or are they great? When you’re speaking to clients you need to be as specific as possible so they know which direction you are heading in. Another problem with ‘very’ is how subjective it is. Your idea of a ‘very’ good idea might not be the same as your client’s notion of a ‘very’ good idea. So if you’re unsure make sure you clarify. Using ‘always’ is a dangerous game to play. Unless you plan on becoming locked into one idea of something, then avoid it at all costs. Using confining words such as ‘always’ and ‘never’ restrict you to a close-minded way of thinking, and are rarely true. Unless giving written commands or instructions find another words; or risk promising your client something that you may later be unable to do! Both ‘Just’ and ‘only’ fall into a similar category which is subjective and can damage your relationship with your client. For example, you might think saying “It’s just two pieces of work” is a way of you saying it won’t take long for you to complete. However, to a client it may seem like “just two pieces of work” means you aren’t as equally committed to each and every piece of work, as apparently these two pieces are lesser than the rest. To avoid any sticky situations, steer clear. By the time you’re speaking to your client you should never be unsure about anything. Even if you don’t actually know what type of magenta their logo is going to be yet, you should be certain about when you will have a decision by. ‘Maybe’ is a one word way of saying “I’m unsure about my ability to complete this it could go either way” – definitely not a message you want to give your clients. Using decisive language around clients will prove to them you have conviction and are able to take on this project and produce something fantastic. If you’re unsure during the process, it’s likely your client will be unhappy with the end result. ‘Literally’ is a similar word as ‘honestly’. You should assume that the person you’re conversing with is aware of whether you’re speaking literally or figuratively, because that’s normally pretty obvious. So when you continue to use ‘literally’, you’re adding an unnecessary word that does not emphasise your point. Instead, you should be more specific. For example, “This is literally the best work I have ever done” could easily be “Compared to other pieces I’ve completed, this is the one I’m most proud of”. Which sounds more genuine to you? Have you got any words you can’t stand being used? Or are you guilty of using the above? Leave your comment in the section below!